Enhancing the sweetness of this bangle set area unit the pink CZ stones that are placed strategically round the circumference of bangles. Good ancient option to have! 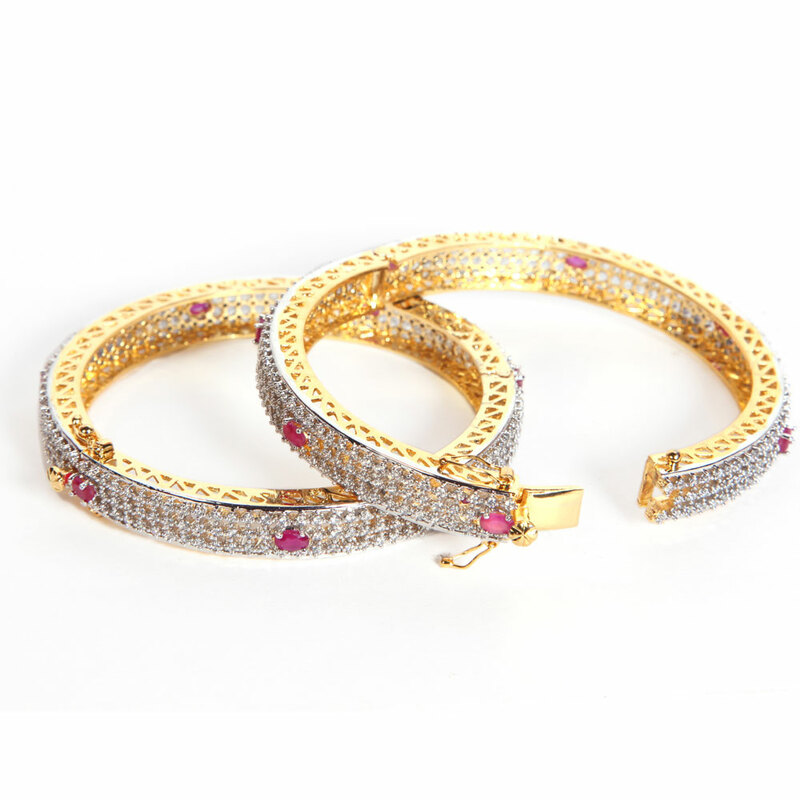 This pair of designer bangles presents a sophisticated look with its white AD stones studded close together on a base metal frame of gold plated Read More..brass. Enhancing the beauty of this bangle set are the pink CZ stones that have been placed strategically around the circumference of bangles. Perfect traditional choice to have! Show Less..